His Beatitude was born in Lattakia, Syria in 1955. 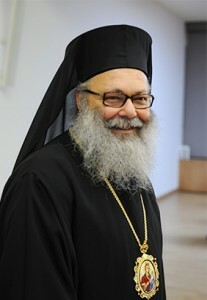 His father, a poet and a teacher of Arabic was from the Syrian ‘Valley of the Christians’ and his mother was from Tripoli, Lebanon, the site of the Monastery of Our Lady of Balamand.Patriarch John has three siblings, one of whom is a nun and one of whom is Metropolitan Paul of Aleppo, currently held in captivity by radical Islamists. His Beatitude originally intended to pursue a secular career and he received a degree in Civil Engineering from the University of Teshreen. Soon afterwards, however, he entered the St John of Damascus School at Balamand University and graduated with a second bachelor’s in theology in 1978. He was ordained to the Holy Deaconate by Metropolitan John of Lattakia the next year when he was beginning graduate studies at Aristotle University in Thessaloniki in Liturgics. While in Greece, His Beatitude also received a Diploma in Byzantine Music and with the blessing of Metropolitan John lived for two years at St Paul’s Monastery on Mount Athos, where he was tonsured by its abbot, Archimandrite Parthenios. Patriarch John graduated with distinction from Aristotle University receiving a Doctorate of Theology in 1983. His dissertation on the service and theology of Baptism was published in Greek. His Beatitude’s commitment to monasticism continued upon his return to Syria. He served as abbot of the Monastery of St George in Talkalakh, Syria where he reformed the monastic community and restored its school. He also served as abbot of Our Lady of Balamand Monastery from 2001-2005 and was closely involved with the foundation of Our Lady of Blemmana’s women’s monastery where he continues to serve as spiritual father. Patriarch John has had a long and distinguished career as an educator and scholar. He began teaching at Balamand University in 1983 and served twice as Dean of the St John of Damascus School of Theology from 1988-1991 and from 2001-2005 respectively. He has published scholarly studies on Liturgics, the Sacraments of Baptism and Marriage, and Hymnology. He has also written the official patriarchal Liturgikon and the standard Arabic language manual on the principles of Byzantine Music. In addition, His Beatitude has published translations of St Gregory of Nyssa’s Life of His Sister Macrina and Mark the Monk’s On Those Who Think They Are Justified by Works from the Philokalia. Despite his monastic vocation and scholarly pursuits Patriarch John was actively engaged in pastoral work being consecrated Bishop of Al Husun in 1995 and Metropolitan of Europe in 2008. As Metropolitan, His Beatitude served as arch-pastor for parishes from Central Europe, Germany, France, the United Kingdom, and the Republic of Ireland. 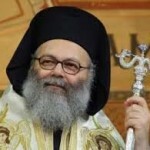 His Beatitude has served as Patriarch during an extremely difficult period. A few months after his elevation, his brother Metropolitan Paul of Aleppo was kidnapped. Throughout 2013 priests, deacons, and lay people were murdered and the monasteries of the Patriarchate have served as refugee centers for those displaced during the Syrian Civil War. From December, 2013 through March, 2014 the nuns and orphans of St Thekla’s convent were taken captive by Al Nusra Front. Besides dealing with these catastrophes, Patriarch John has travelled widely. He has met with Patriarchs Bartholomew and Kyril and also with Pope Francis in an attempt to halt religious warfare in the Middle East. 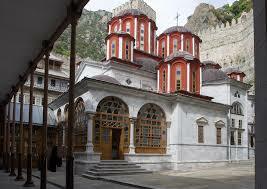 Find more at the Greek Orthodox Patriarchate of Antioch and All the East website.